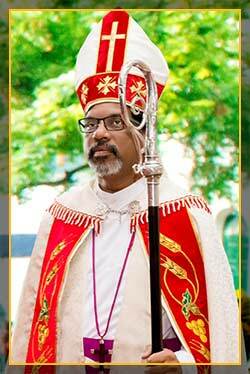 I send my good wishes and blessings from the Karnataka Central Diocese of the Church of South India. I am delighted to see the young minds bloom with such creativity being tapped by the teaching faculty. The Institution truly follows Albert Einstein's philosophy, "Education is not the learning of facts but the training of the mind to think." The number of opportunities that is provided to them to enhance their thinking and to experiment with different fields makes this Institution a kind of its own. The success stories of the students in many important fields bear witness to the kind of learning and freedom given to the students. I believe that education is the most powerful weapon to change the world and the use of this weapon is to mould young minds to think intensively and to view everything with a critical eye. If a mind is inspired and motivated with proper guidance, it will be able to conquer any challenge. The Institution provides a platform and abundant opportunities towards excellence. The world of technology is an ever-growing field that adds to a Childs arsenal, their creativity and passion gets all the support from the management. I take this opportunity to congratulate the Cathedral Family for their tireless and committed contribution in all their endeavors. My prayers and wishes are with the Principal, the entire Staff and above all to the student body.